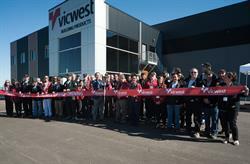 ACHESON, AB--(Marketwired - September 21, 2016) - Vicwest Inc. (the "Company" or "Vicwest") today celebrated the grand opening of its new manufacturing facility in Acheson, Alberta with staff and friends. The Company commemorated its new "Centre of Excellence" facility with a ribbon cutting ceremony, as well as a donation of $5,000 to the Alberta Food Banks. 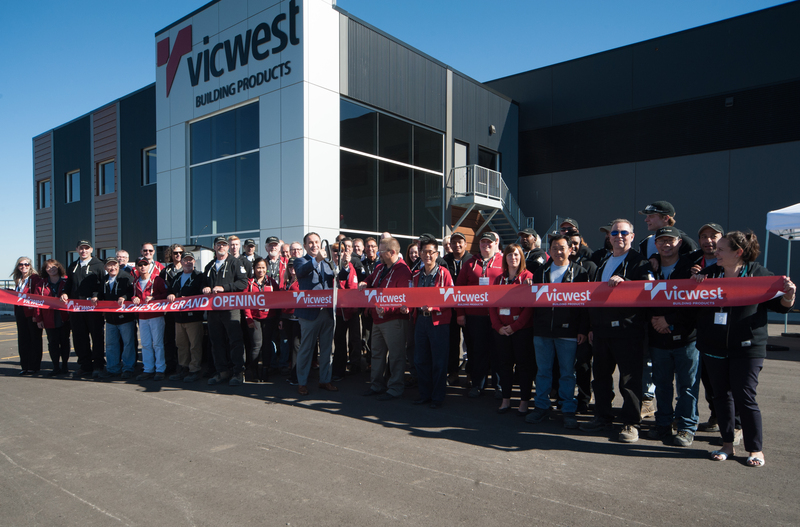 In addition to the grand opening, Vicwest is celebrating 85 years as Canada's leading manufacturer of steel roofing and cladding for the residential, commercial and agriculture industries. Vicwest made the return to the Greater Edmonton Area recently after two years analyzing the Canadian landscape and identifying the western Canadian territory as an ideal location to place a new facility that could support the Company's sustainability framework. "We are thankful to be back in Alberta to service Western Canada, a region that only continues to grow," said Paul Lobb, President and General Manager, Vicwest Building Products. "Our new 'Centre of Excellence' was built based on advanced quality manufacturing systems, and we are proud to introduce an innovative and more sustainable facility that truly keeps future generations in mind." The "Centre of Excellence" was designed for maximum efficiency and output in a smaller facility footprint. At 60,000 square feet, the facility has 18 full-time operators on the floor. Future automated wrapping of materials. Vicwest has also set a target to achieve 100 per cent renewable energy by 2020, which supports the Government of Alberta's goal to use cleaner sources of energy to make the province more energy efficient and stimulate the economy. As a gesture of thanks to the Alberta community for warmly welcoming the Company to the area, Vicwest also donated $5,000 to the Alberta Food Banks to support various food banks across the province. "Working with the local community, we look forward to forging bonds with community members that are as strong as our products," adds Lobb. "We were pleased to see the incredible efforts by the Alberta Food Banks to help residents in Fort McMurray after their devastating fire, as well as continued efforts to service many other areas of the province that have had their donations depleted due to recent economic conditions." Media are invited to speak with Paul Lobb about the new "Centre of Excellence." Paul Lobb, President of Vicwest Building Products, opens the new Centre of Excellence manufacturing facility in Acheson, Alberta with Vicwest employees on September 21, 2016.